On the 4th of May at 10am will release the 5th Edition of the 100% Islay range. The 5th Edition 100% Islay is a vatting of ex-bourbon barrels filled in 2009 and 2010. This will be bottled at 50% abv and rrp £67.50. First released in 2010, the annually released limited edition bottling is produced solely from barley grown at the distillery and is only lightly peated compared to the Machir Bay and Loch Gorm. 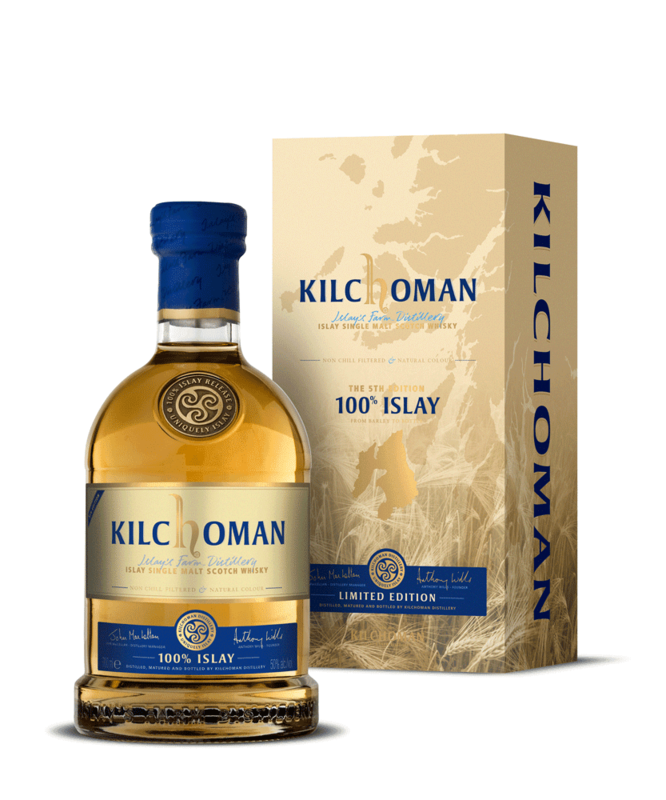 On the 4th of May Kilchoman will release the 5th Edition of the 100% Islay range. The 5th Edition 100% Islay is a vatting of ex-bourbon barrels filled in 2009 and 2010. This will be bottled at 50% abv and rrp £67.50.